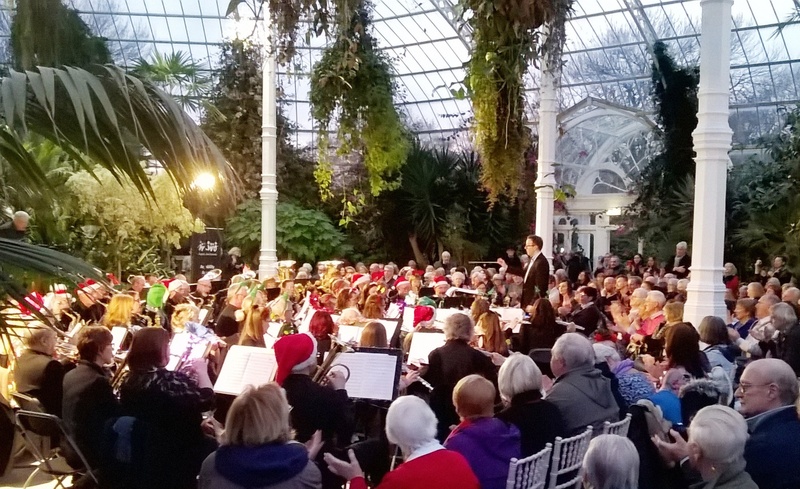 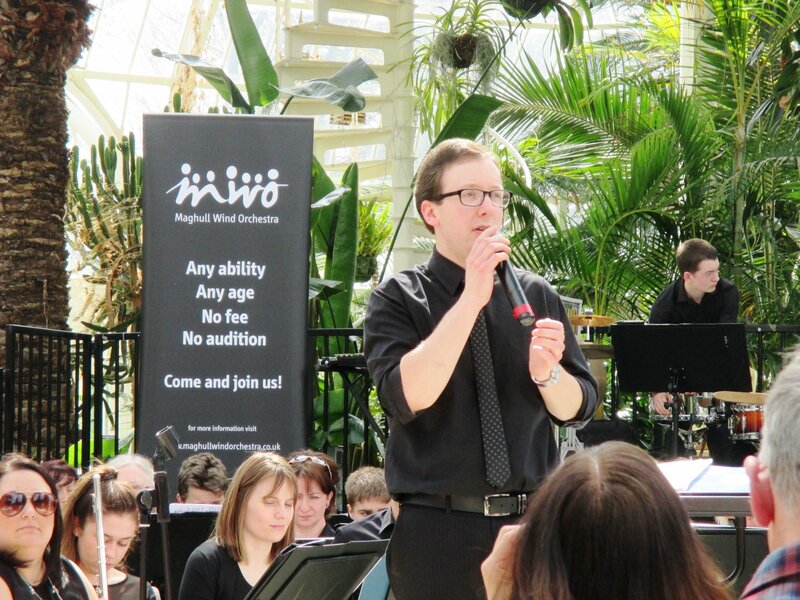 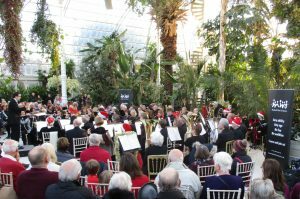 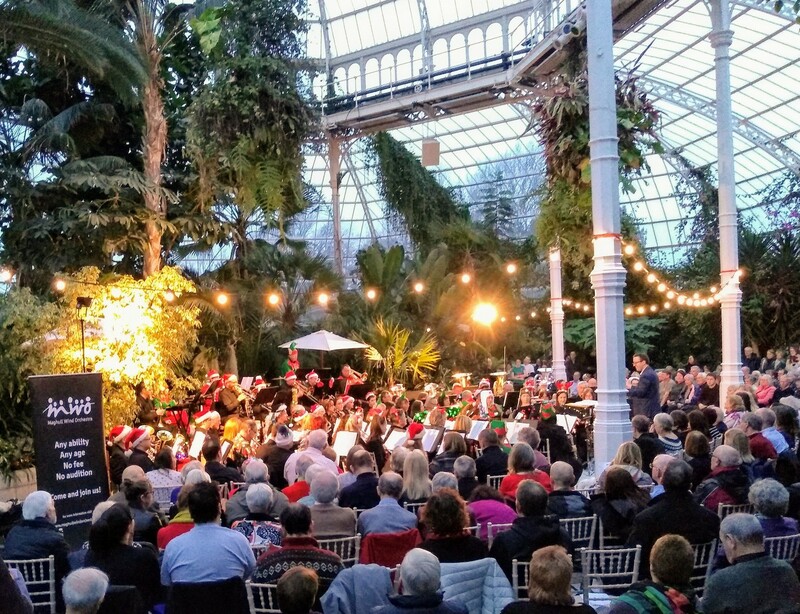 Liverpool’s Sefton Park Palm House was packed out today for another performance by Maghull’s very own community wind orchestra. 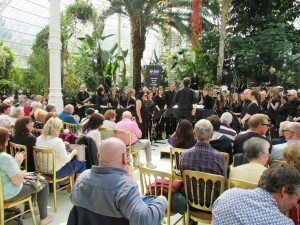 This lovely venue really seems to suit MWO and they have quite a following these days. BTW I leaned today that they have been in existence for nearly 40 years and there were 85 of them playing today. 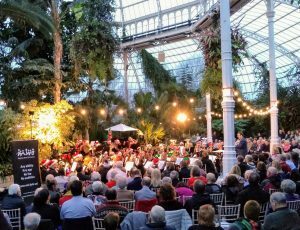 In 2018, to celebrate their 40th anniversary, MWO will be playing a one-off special concert at Liverpool’s Philharmonic hall. Christmas music and some scores from films were the order of the day for this latest performance. 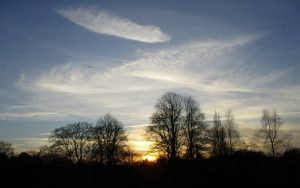 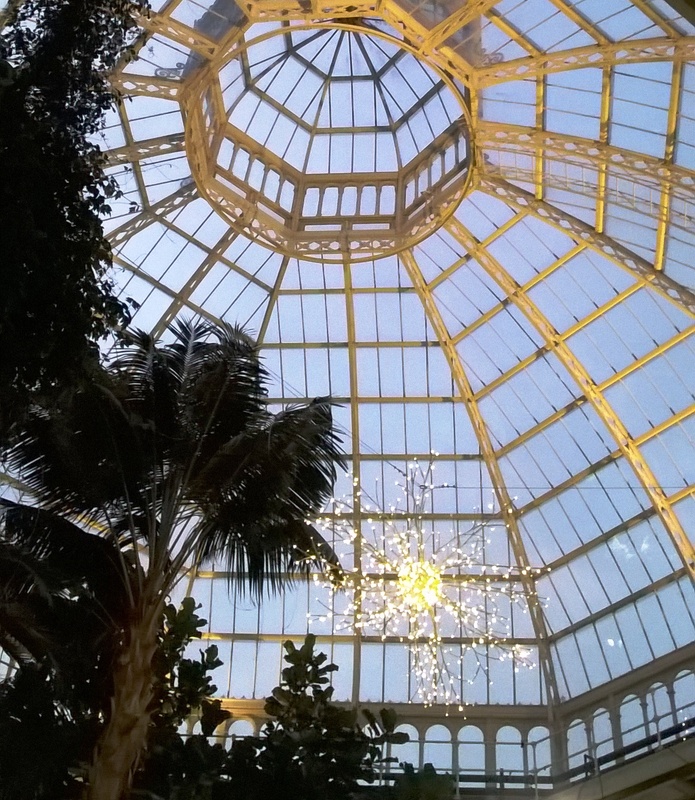 Always nice to hear them and to run into some old friends and former work colleagues. 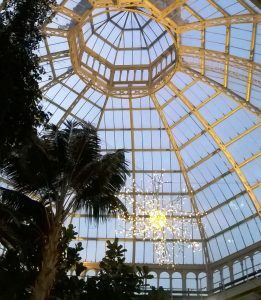 I had not seen Phil Davidson for two or 3 years but have run into him twice this week and it turns out he’s a fan of MWO. 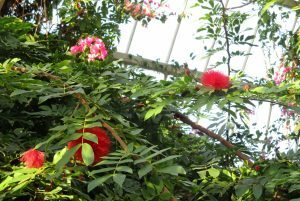 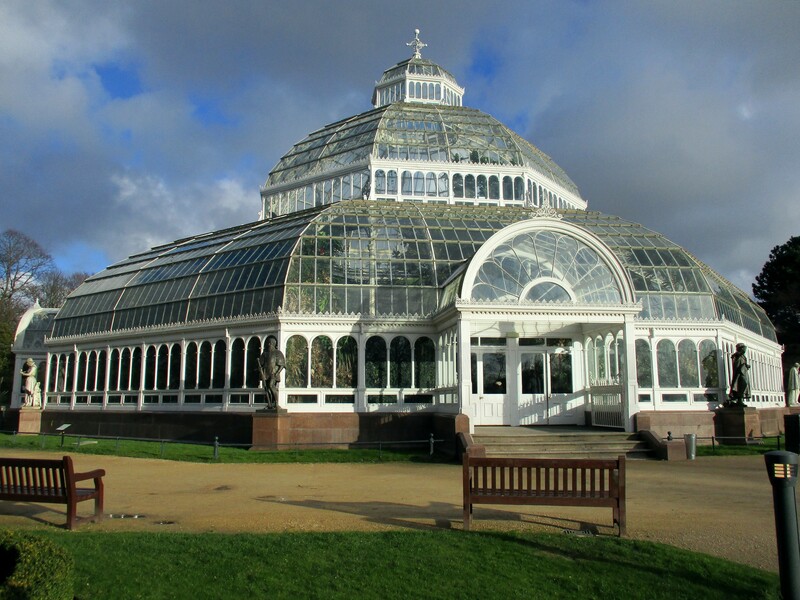 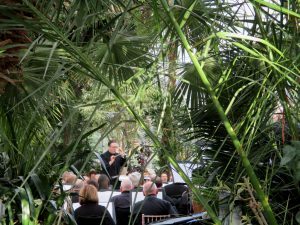 I attended my first concert by Maghull Wind Orchestra last Sunday in the grand surroundings of the Palm House in Liverpool’s Sefton Park. And an excellent, well attended concert it was too with the 74, yes 74, member orchestra putting on a varied and entertaining performance. Musical Director Phil Shotton addresses the audience. 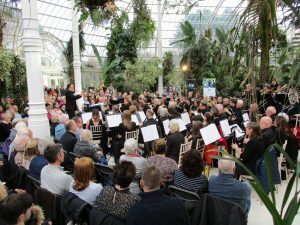 There were 74 members playing in this particular concert!